It’s important to do what you can for the environment, and that includes making sure your business is as sustainable as possible. 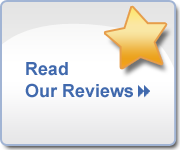 Discover how air conditioning repair St. Cloud helps with sustainability, and learn what else you can do to keep your commercial HVAC unit green. Regular maintenance and repairs for your HVAC unit can dramatically improve its sustainability. When every component is in proper working order, the unit will function at peak efficiency, limiting the amount of energy you use, helping both the planet and your wallet. Changing the filters on your HVAC unit is crucial. If your HVAC filter is dirty, the system works harder to keep the air clean, which increases your energy bill and wastes electricity. Not only will cleaning the filter improve efficiency, it also improves the indoor air quality. Ensure that all the ducts for cooling and heating are sealed completely. You can easily seal ducts with foil tape, blown-in duct sealant, or mastic, and you can enhance this by then wrapping it with installation. The priority when it comes to sealing ducts should be those in unprotected areas, like in storage spaces or under the building. Whenever you can, always choose to use a programmable thermostat rather than a basic one. Programmable thermostats can save you hundreds of dollars by allowing you to control your surrounding environment and use less heating or air conditioning when it’s not required. Sometimes, the best way to improve efficiency of your HVAC unit is to simply replace it. Using a unit past the recommended lifespan can lead to excessive repairs and reduced efficiency. Remember that excessive repairs not only cost money, but hurt the planet. It’s better to just get a new unit that won’t require regular repairs and will run more efficiently from the get-go. 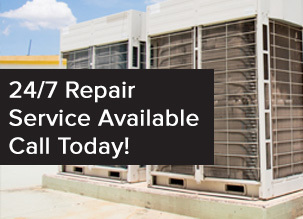 At All Temp, we gladly offer air conditioning repair St. Cloud along with a range of other services to help you ensure your commercial HVAC system is sustainable. Make an appointment by calling 407-857-7800 or 813-630-9400.